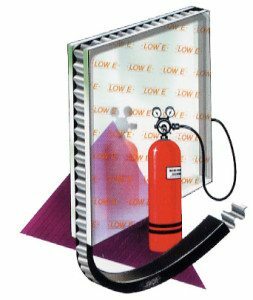 Used in over 100 million insulating glass units. Minimal gas loss occurs after exposure to CGSB, ASTM, DIN or CEN seal durability tests. Regardless of how gas retention is evaluated DuraSeal™ retains argon, thereby maintaining the thermal properties of windows long term. Other Warm Edge spacers may claim to retain argon gas but have not passed this critical standard. Only the warmest windows can claim proven argon gas retention backed up by the DIN standard and only DuraSeal™ can deliver this feature in a single seal Warm Edge insulating glass sealant system. The only single seal Warm Edge proven to retain argon gas.